Fraser Livingstone Architects have followed up their launch a fortnight ago with submission of their first planning application, the refurbishment and extension of a disused public toilet to form a new restaurant. 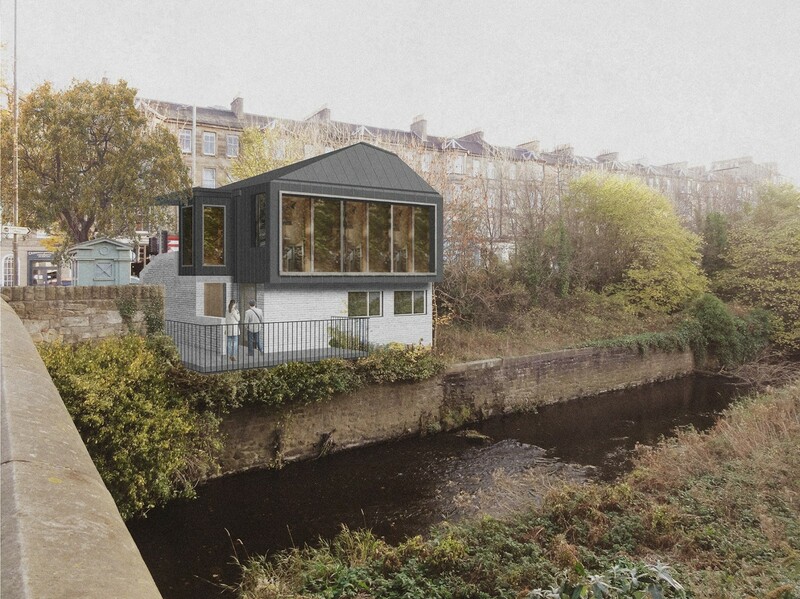 Under the plans the brick Old Toll House building overlooking the Water of Leith at Brandon Terrace will be painted white with a new black clad pavilion ‘hovering’ above. 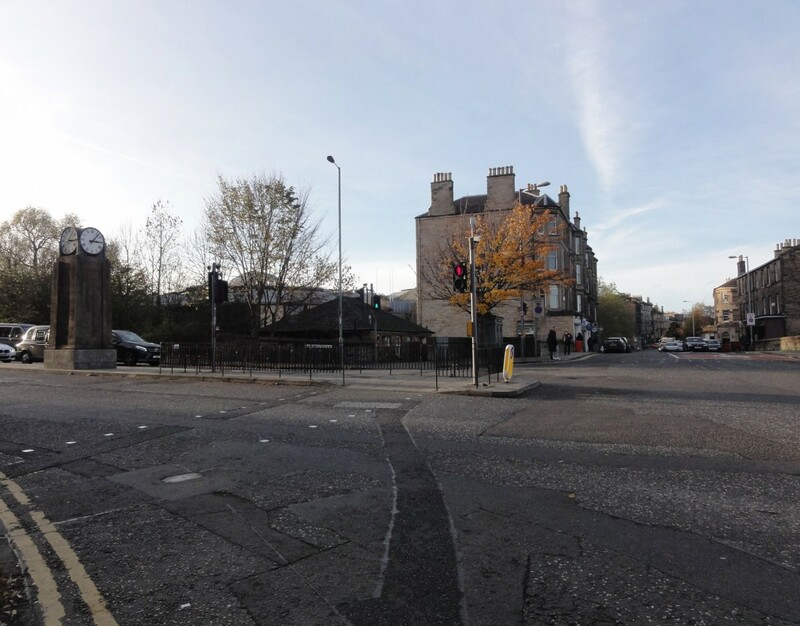 A generous picture window will activate the corner of Brandon Terrace, Huntly Street and Inverleith Row. 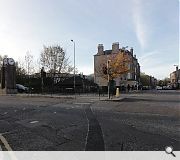 In a statement the practice wrote: “The transformation of the Water of Leith, in a single generation, from dank, stinking, industrial sewer, to a primary component of the city’s green network and wellbeing infrastructure, has been a remarkable emblem for the positive evolution of the city. We understand the importance and potential of the river for the people of Edinburgh, and its infrastructure role and attendant possibilities for enhancement. 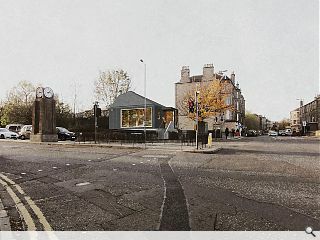 “The existing building, which formerly housed public conveniences, sits on the footprint of one of the old Toll Houses on the approach into Edinburgh. Its lower floor is retained and built up from, with a new pavilion replacing the existing roof. 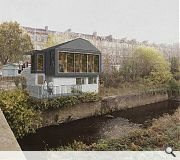 Small cantilevers are formed to the front and back, which hold expansive openings connecting to the Canonmills Clock and over the river to bring its burble and views into the restaurant. Part of the Inverleith Conservation Area the constrained project will require the removal of trees to the immediate south and west. Would make a nice wee extension to a bungalow in the suburbs perhaps. The grey stealth bomber aesthetic is reminiscent of a military craft beached on the banks of the burn. Odd version of contextual. #3 exactamundo. Not so pastoral - more militaristic industrial. Oh the pursuit of an aesthetic! Tut tut. This doesn’t comply with Building Regs re. Disabled Access. And furthermore I don’t see wher a person in a wheelchair wouldn’t feel in the way, except the accessible toilet. "to offer sustenance.." as long as they have fanta and maybe a wee cake with those silver balls on it, ill be there to absorb the burble and pyramidal warmth.